Kilian Jornet holds the FKT, 38h32m, September 28-29, 2009. Tim Twietmeyer had the previous supported FKT, 45h58m, set August 27-29, 2005. Krissy Moehl as the women's supported FKT, 47h29m, September 28-30, 2015. Amber Monforte had the previous women's supported FKT, 49h17m, September 5-7, 2014. Sean Ranney has the unsupported FKT, 51h45m, July 10-12, 2015. Mike Tebbutt had the previous unsupported FKT, 54h17m, June 25-27, 2015. JB Benna had the previous unsupported FKT, 58h43m12s, September 29 - October 1, 2013. The Tahoe Rim Trail (TRT) is a 165-mile long loop trail around Lake Tahoe. The trail was only completed over the last several years, and its "grand opening" celebration was in September 2001. Nevertheless, the TRT has already seen several speed record attempts -- a testament to the quality of the trail as well as its location near to the hub of ultrarunning in North America. An interesting feature of the trail is that, since it is a loop, one can choose basically any starting/finishing point, and can run in either direction (clockwise or counter-clockwise). No doubt different runners will have different ideas on the most efficient approach. According to this site Betsy Nye did the TRT in 55h22m in 2004, which would have been the overall FKT at the time. We have not been able to find any details on this trip. 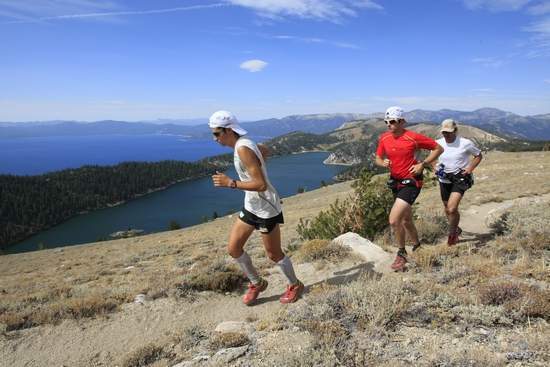 sacramentorunning.com reported that Jenny Capel ran the TRT in 53h39m, July 2013. Again, we have no details. Below, Amber Monforte reports running the TRT in a new women's supported FKT of 49h17m on September 5-7, 2014. Monforte had attempted the trail in June, but was shut down by GI issues. The Delorme track will probably disappear sometime, so I'll mention that I confirm the track and that the first point is apparently at 5:56am Sept. 5, and the last at 7:25am Sept. 7. Monforte's FKT stood for just over a year, and was bested by champion ultrarunner Krissy Moehl, who ran clockwise in 47h29m on September 28-30, 2015 (verified by publicly available, real time SPOT track). Moehl & Monforte's times are the 3rd and 4th fastest overall on the TRT, after Jornet and Twietmeyer. Trail Runner Magazine did a nice article on Moehl's run, and irunfar.com did an interview. Previous to Jornet, the TRT record was held by ultrarunning legend Tim Twietmeyer, 45h58m, set August 27-29, 2005. Among his many accomplishments, Twietmeyer has finished the Western States 100 mile an astonishing 25 times all under 24 hours, and won the race 5 times. An interview with Twietmeyer on his TRT record is here. Twietmeyer's trip was fully supported, including pacers much of the way. He ran the route clockwise, starting at the Truckee River in Tahoe City. Peter Lubbers attempted to better the TRT speed record on August 15-18, 2008, but was unable to match Twietmeyer's time. Lubbers completed the route in 57h54m. Details are on his blog. Aaron Sorenson made an attempt at the unsupported FKT on the TRT in July 2009. He ran counter-clockwise from Tahoe City, and covered 64 miles in the first 24 hours, but stopped at mile 67 at Big Meadows. A hiker who wishes to remain anonymous here got the first real unsupported FKT when he did the route in 85h47m50s on July 27-30, 2010. His previously available detailed trip report has been removed. "I carried all food on back that I needed, never resupplying for the distance of the trip," the hiker said. "I also only used natural water sources forcing me to have to carry water for 35 miles on the east side from Dagget Creek near Heavenly to Marlette Peak Campground. Didn't accept any handouts from other hikers either (not that any where offered). When I did the math for my data book of the TRT I came up with a mileage of 168.6? I am guessing the 165 is a nice round # but not accurate? My calculations show that to be a pace of 46.8 miles a day. Slept for only 10hrs during the full 86hrs and was coming apart at the end. I couldn't have gone another day at that pace." This record may have been broken by Michael Popov just about 1 month later (Aug. 29 - Sept. 1, 2010). Apparently Popov's Facebook page said that he did the trail unsupported in 77h13m. However, we have no trip report or details on Popov's trip & no confirmation from Popov himself (who is tragically now deceased), so we consider this information unreliable at this time. Popov reported a new unsupported FKT of 63h54m4s, set September 22-24, 2011 (see below). This time was bested by JB Benna, who did the TRT in 58h43m12s on Sept. 29 - Oct. 1, 2013, as reported below. A new unsupported FKT was established by Mike Tebbutt on June 25-27, 2015, at 54h17m, as reported below. Finally, just 2 weeks after Tebbutt's effort, Sean Ranney did the TRT unsupported in 51h45m, the current FKT (see below). Ranney had made an earlier attempt, in September 2014, but ran into more snow than expected. Trail Runner Magazine reports that Tom Flahavan ran the TRT in the second fastest time ever, 45h34m, August 2-4, 2012. However, no further details or confirmation are available. My name is David Wronski, and I'm a barefoot ultra runner. I will be attempting to run the entire TRT clockwise without sleep starting from Tahoe City on October 8th at 10am. From some research, it looks like I will be the 8th person to ever run the TRT? I am 25 and will be 26 years old by the time I attempt the TRT. Thanks for all the info on the TRT! I just completed the Tahoe Rim Trail unsupported in 63 hours 54 minutes and 4 seconds, going counterclock wise from Tahoe City. Starting time was 8am on Thursday, September 22. I finished just before midnight on Saturday, September 24. That was a blast! Full report to follow shortly. I will be attempting the unsupported fkt on the TRT. I plan to start at 7am, August 13th, 2012 in Tahoe City (start location may change) and will be using SPOT Tracker as my main verification. I'll also bring a few cards with my info to hand out, if possible. A full report will follow. As long as the snow has melted enough by mid June I will be taking another stab at the Tahoe Rim Trail Unsupported. I will be taking a spot tracker. On Monday, August 13th, 2012 I will be making an attempt to break the supported record on the 165-mile Tahoe Rim Trail, currently held by Kilian Jornet with a time of 38h, 32min. The run will start in Tahoe City at 6AM and will proceed counterclockwise around the lake. I will be starting with a team of 5 other runners with the goal to all finish together in record time. We will have the provision to allow the strongest runner to complete the journey solo or with a smaller subgroup in record time. Live updates on the run will be broadcast on the ultralive.net web site. Reporting will also be done by Eric Schranz of ultrarunnerpodcast.com. Data on position and time will also be recorded with gps devices. 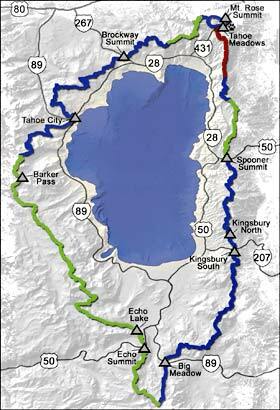 We will run the new portion of the Tahoe Rim Trail between Kingsburgy South and Kingsbury North trailheads if the new Highway 207 crossing is in place at that time. This adds roughly 1.6 miles to the total distance run in prior years. I am grateful for the support and encouragement given to me by Kilian Jornet, Tim Twietmeyer, and the local trail running community for this project. My name is David Wronski, and I'm a barefoot ultra runner. 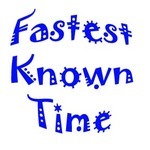 I will be attempting to run the entire TRT clockwise without sleep starting from Tahoe City on June 29th, 2012 around 9am. This will be a completely supported attempt. Trying to get a verification of how many people have actually completed the entire TRT "non-stop" even though most have slept? How many have done the entire trail on NO sleep? I think the sleep v.s. no sleep issue is not relevant. the only relevant thing is final time. I completely agree Art. The no sleep thing is just personal. Didn't mean to include that so much, just was wondering the stats on how many finishers there have been since the TRT has opened? This is Aaron Sorensen agian. Had to hold off for a while on my TRT attempt, but will be back for an attempt around Sep 20th. I'll be starting in the morning at the Echo Lakes Dam Bridge and go counter clockwise. I don't think it's happening, according to Catra's information. No unsupported TRT under 72 hours is going to happen, neither TYT, JMT, and High Sierra Trail are going to happen. Yep - per her Facebook page today "I will Yo Yo the JMT starting Sunday since I have no way to get back from Yosemite I will continue on back fast packing a double."